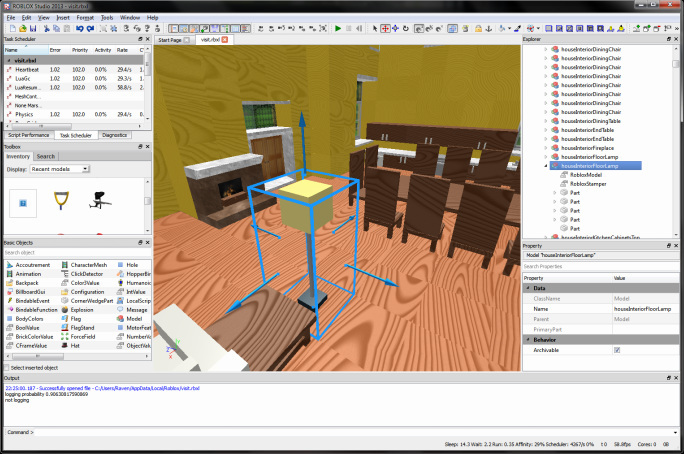 ROBLOX Studio 2013 is a tool designed for teens and pre-teens to design and build games. The users share and play games with each other through a social network website. Game logic is written in Lua so it's a great introduction to programming and classifies the tool/website as educational entertainment. The code was written in C++ and Qt using Ogre as the backend rendering engine. // We want the line number for the selected line to be bold. // line. 3 is a magic padding number. drawText(x, y, text). // Remove the bold style if it was set previously.